This Cotterman Adjustable Work Platform adjusts 10" to 15" to meet your varying work levels. 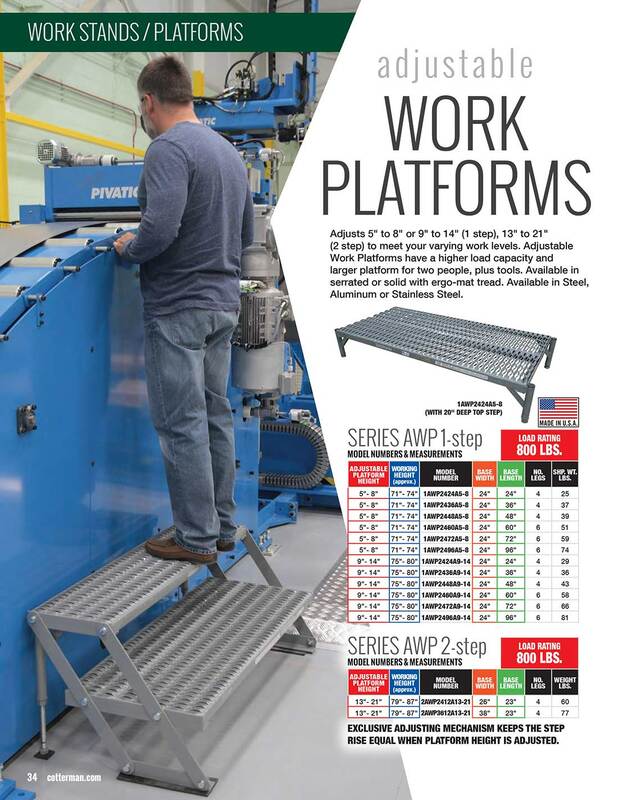 Adjustable Work Platforms have a higher load capacity and larger platform for two people, plus tools. This unit has a base length of 48" W and can be placed side by side or end to end to increase standing area. Available in serrated or solid with ergo-mat tread. Available in Steel, Aluminum or Stainless Steel.